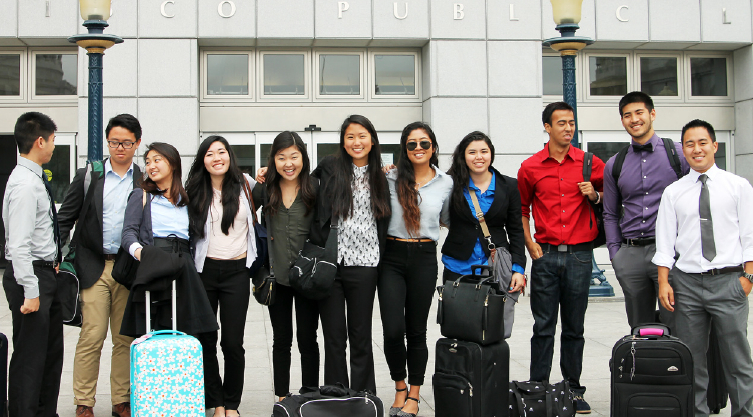 Kizuna college interns receive invaluable experience working in the Japanese American community. Calling all college students! Interested in a paid summer internship in Los Angeles focused on gaining hands-on work experience in the Japanese American community? Check out Kizuna’s Nikkei Community Internship (NCI). Occurring during the summer, NCI is a paid, eight-week, full-time internship experience designed to help you make your mark in the community. Design and implement impactful projects, meet community leaders, and build your legacy by helping to shape the community’s future through the NCI program. If you are majoring or interested in marketing and PR, business administration, or graphic design, you’ve come to the right place. NCI this summer may partner with community banks, marketing firms, and small businesses to suit your career needs. Applications are due March 13. The program is from June 13 to Aug. 5 and interns get to travel to the Los Angeles, San Francisco, and San Jose during the program. Interns also gain a $2,100 incentive for participating. Visit www.kizuna-la.org/programs/nikkei-community-internship or contact Paul Matsushima at [email protected] or (213) 973-4465 for more information.